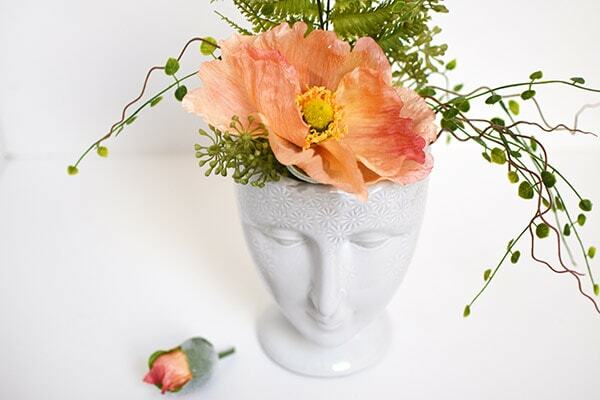 INSIDE : See how to craft a gorgeous flower arrangement in a simple Face Vase! 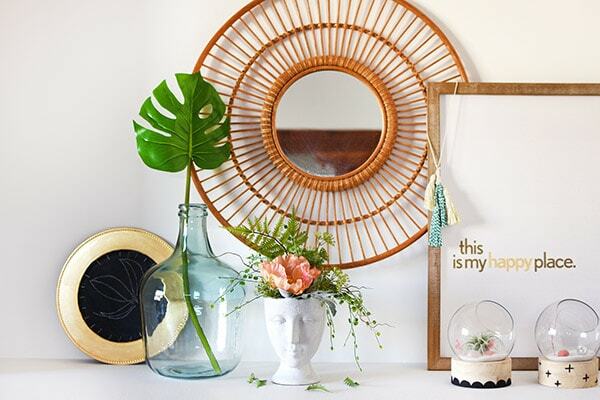 And by using faux flowers you can set your new vase on display in your home and it will live on forever. 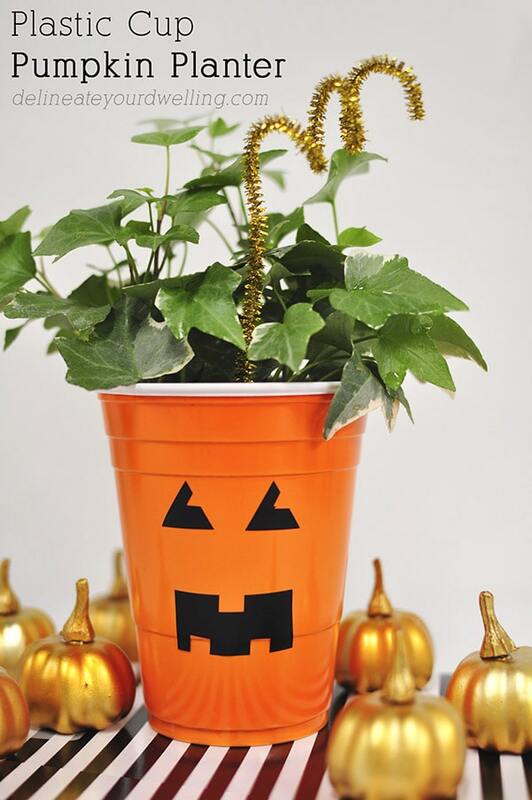 No green thumbs required. Over the summer I became hugely obsessed with all vases and pots with faces on them. However truth time, I was hugely obsessed with these types of vases long before last summer. 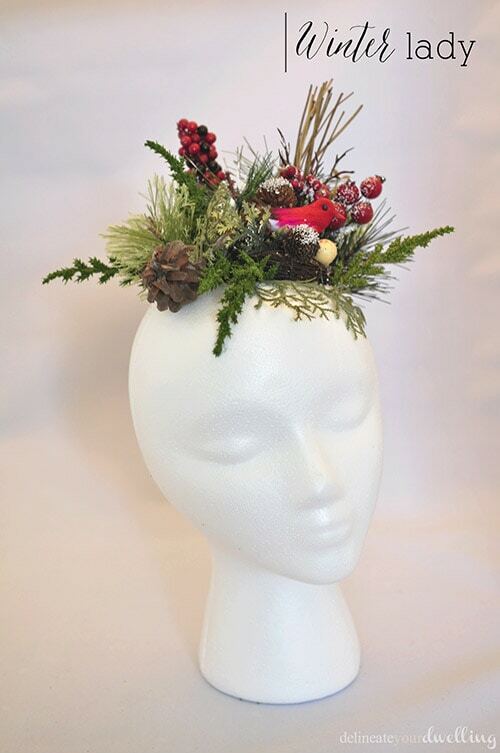 I’ve previously made a gorgeous Winter Lady and last summer I DIYed a his and hers face planters. 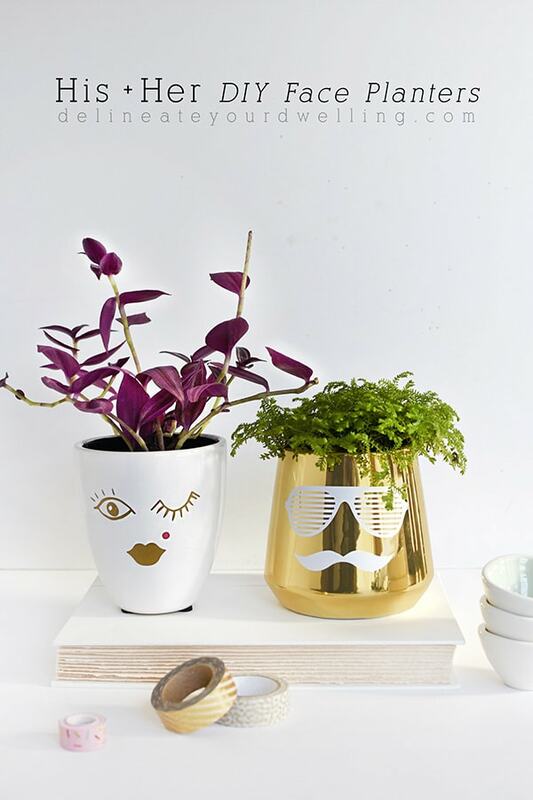 I now have His + Her Face Planters, a llama planter, a winking face mug planter, 3 different plastic cup face planters that I change seasonally and a pink friendship ram – yes, you read that right. I’m a crazy person. 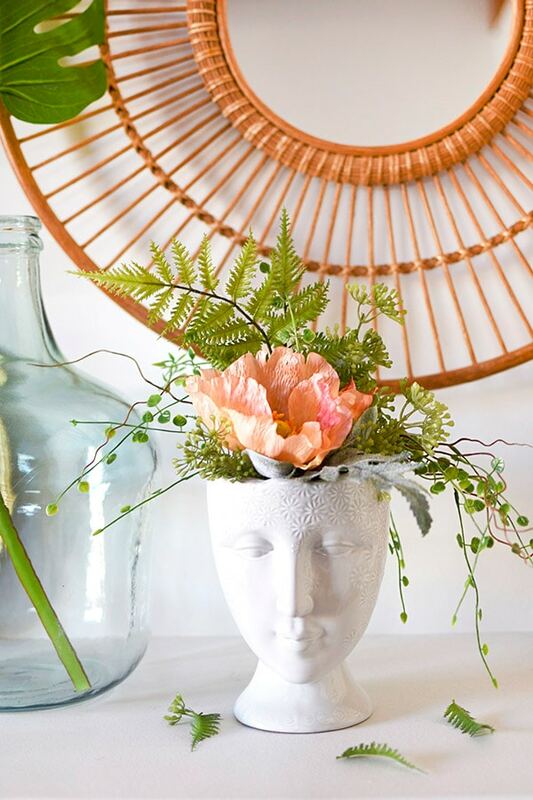 Today, I am sharing the debut of my newest addition, a Face Vase with Faux Plants!! 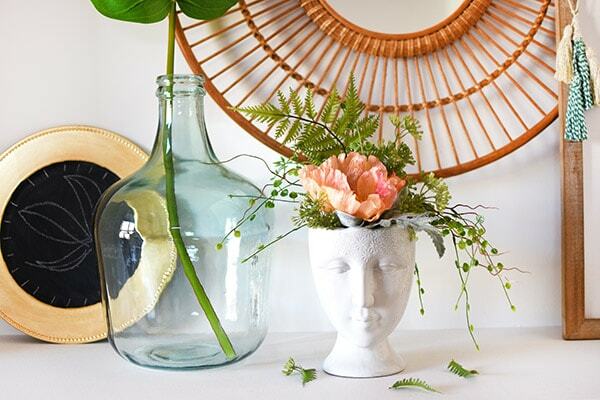 WHAT SUPPLIES DO YOU NEED FOR A FACE VASE? 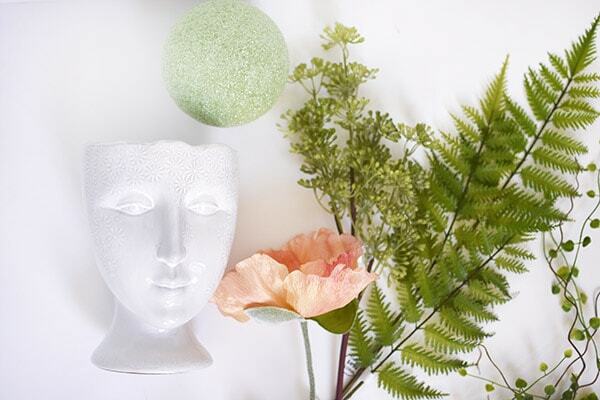 Face Vase | Floral Foam Ball | Floral Wire Cutters | Faux flowers! 1. 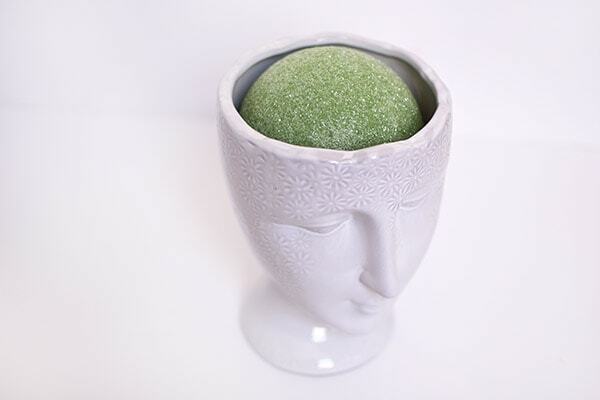 First, place your floral foam ball inside the vase. It will look like a brain and that’s weird but okay. 2. Next, start to add your main height. I placed a few faux ferns in the very back and bent them just a bit. 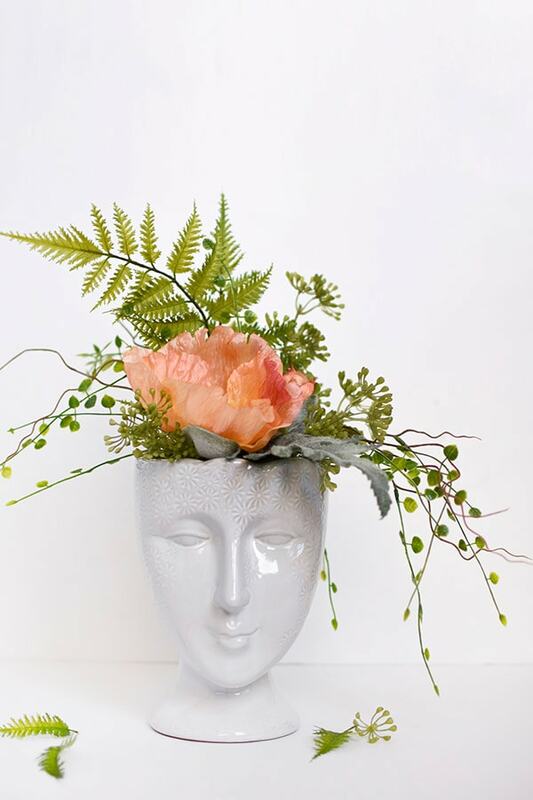 You will doubt yourself at this point because it looks very unusual while you are building up all the layers of faux flowers… just keep going! 3. Next, I added the main floral moment… the big peach flower! 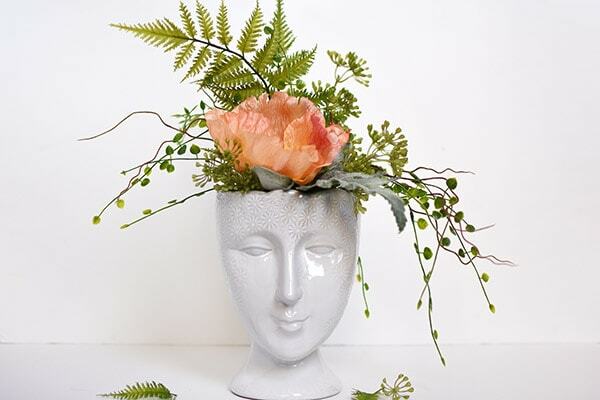 Once she is placed, you can continue filling in extra greenery all around. 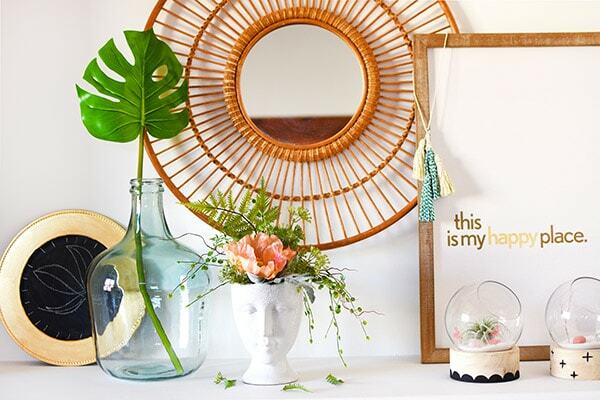 I added lots of whispy greenery and small faux succulents to cover all of the original green floral ball. 4. With a few additional pieces added here and there, she was complete! 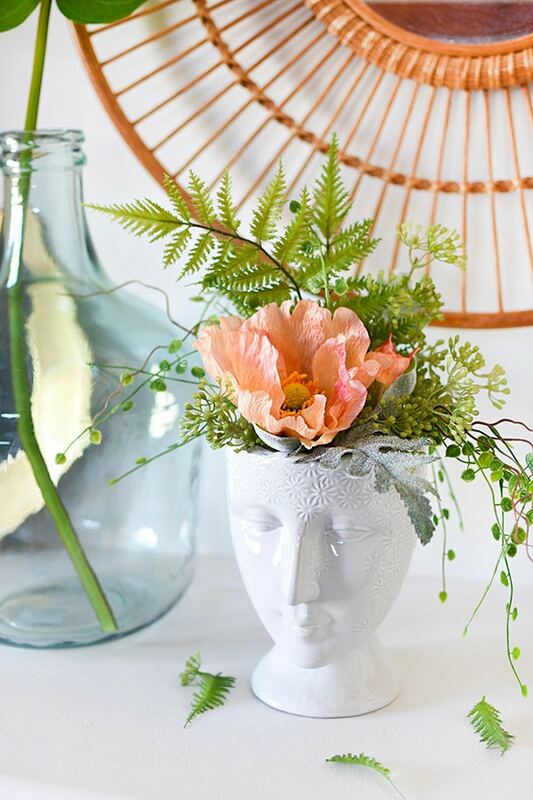 I have decided it was best if she was on display in our living room because I want to see this little faux flowered beauty on the daily! 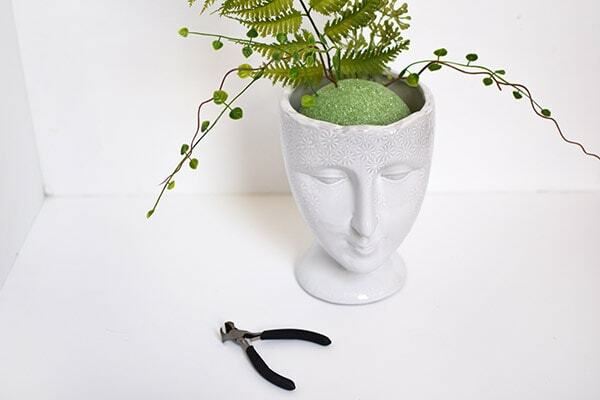 Do you have any face or animal planters? Let me know if you do! They are my fave. 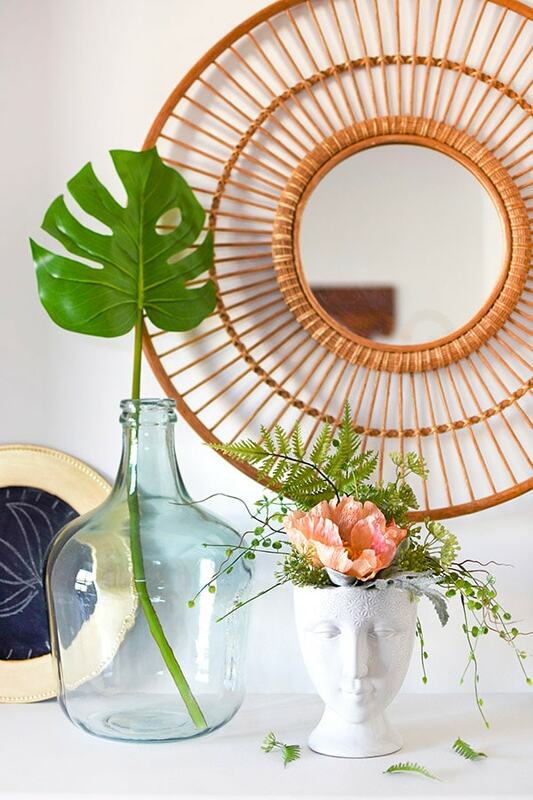 Very nice arrangement, I don’t have such a pretty vase but I’d love to try something with faux plants here at home. Thanks for the tips! The people MUST see this friendship ram!!! !